The following blog post is a part of account deletion series and today you’ll learn How to Delete Dropbox Account. Dropbox is a popular file hosting service used by people all across the globe. It offers cloud storage, personal cloud, file synchronization, and client software. In case, you have found a better alternative to Dropbox or decided to move your files to another good cloud storage; then it is a good idea to delete your Dropbox account. Deleting dropbox account is super easy, Here’s how you can delete yours. 1. Open your default web browser and visit dropbox.com. Here, login to your account using the credentials. 2. Next, click on the Profile picture icon available on the upper right corner and select Settings from the menu. 3. Under, General tab you need to scroll down to Account Delete section which is at the bottom of the screen. Here, click on the Delete account link. 4. Next, you will be redirected to final deletion page. Here, you need to enter the password, and select the reason why you would like to delete your account. If the reason is not listed in the drop-down, then you can explain it in the More details section. 5. At last, click on the Permanently delete button, and you’re done. Once you initiate deletion request, the company will first start deleting the files which you have stored on the Dropbox account after 30 days. And with 60 days your account will be deleted permanently from Dropbox servers. You can’t undo this process. In case, you’ve upgraded to Dropbox Plus and Dropbox Professional pack; then you need to downgrade to dropbox basic, before initiating the deletion process. You can refer to this article: Cancel Dropbox Subscription. 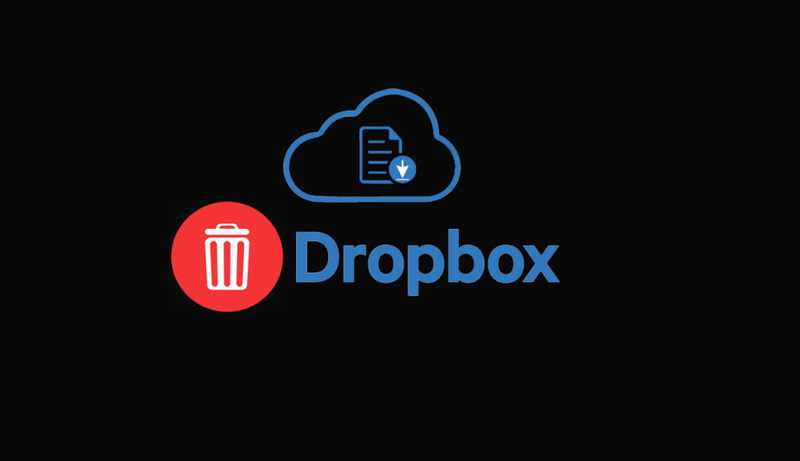 Find this blog post on how to delete dropbox account handy? If you need further assistance, let me know in the comments.